4800 campers, 187 camp counsellors, 134 co-counsellors, 18 field co-ordinators, 2 states and 11 camp locations! It promises to be a Summer that we’ll always remember! After countless hours of planning and prepping, and months of hard work we are ready for Summer Camp 2015 — one of many firsts! In our efforts to make sure that we provide our adolescent campers relevant information and knowledge, we revamped our curricula and wrote a LOT of new content! 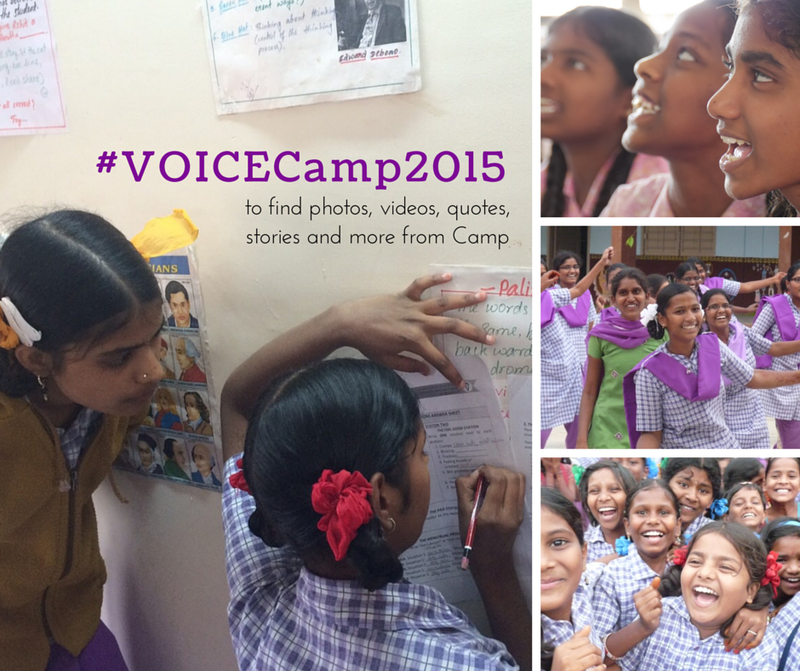 VOICE Campers this summer will be taught the ‘Her VOICE Parichay’ curriculum. Parichay is a Hindi word that can be translated to Introduction and girls will learn about themselves, their bodies, their space, their rights and safety. Campers will also learn in detail about their legal and fundamental rights through our new ‘Rights’ curriculum which has been developed by the VOICE team in collaboration with human rights lawyer, Shikha Bhattacharjee. We are also piloting our new spoken English curriculum ‘Speak Up! this summer. This time, campers will be given monthly assignments which they will do once they are back in school. Later in winter, they will come back to attend the Her VOICE DIsha camp. Disha means direction and campers will learn to plan for their futures. We are already excited about having them back at camp in winter! May and June promise to be hot and humid. But with so many exciting things to look forward to, the VOICE team is not complaining! Go team!